Every person on the planet has probably thought of having their very own start up someday. For some, it maybe a freighting business — an ideal choice for those who want to build a business that not only service customers but other businesses across the globe. Sadly, obtaining this business — or any other business — can seem like a pipe dream to many. Start by considering the many assets that need to be obtained first including infrastructure, equipment, licensing, overheads and more. International Commercial Terms, referred to as Incoterms can often be puzzling, especially if you are venturing into the business of international trade for the first time. For instance, if you have no experience shipping from China you are bound to be at a loss when you come across various terms; foreign to you. Difference Between EXW And FOB Explained- Which Is Better? A newbie shipping goods for the first time might come across terms such as EXW and FOB. These terminologies like any other can be quite confusing when you encounter them for the first time. However, these are common terms used in the shipping industry all across the globe; it does not matter whether you are cargo shipping from China or any another country; as these are standard terms that you will come across all the time. 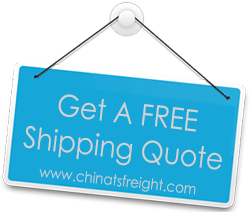 Calculation of chargeable weight for air freight shipping when importing goods from China; is quite simple. A standard method of calculation that is applied universally, is used. Charges are computed on the basis of the cargo weight. Though, what confuses most exporters and importers is whether they need to pay freight charges based on actual weight or dimensional weight? The rule of thumb is that air freight is always calculated based on the higher of the two.